If Social CRM, Social Networking, Social Media or Social Business had the sponsor of a letter, it would be the letter ‘C‘. The reason however is not what you think, of course you need to be Customer Centric, but this post goes beyond that. This post aggregates and builds upon the work of others, who highlight this wonderful letter, as you should as well. During the course of my reading, implementations, discussions and writing, there are few more which you might want to add to the list. These do not represent a strategy, maybe not even an objective or goal, but focusing your time and energy around what these points mean to you, is time well spent. Committed – Once you begin to involve the ecosystem, stick with it! There are some words which begin with the letter ‘C‘ which are words to pay attention to, but be cautious about. I am not going to say they are right or wrong, they simply need some paying attention to, to make sure you are aware of their power. Yogi had a destination in mind! 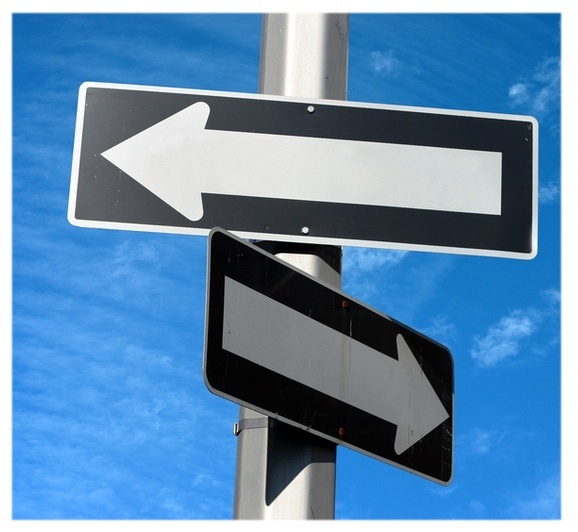 I know that I am preaching to the choir, but when you are faced with a decision – the fork in the road – be sure that you understand the ultimate destination (not just the tactical one). Evolving your current business into a Social business will involve many decisions. Good friend and colleague Esteban Kolsky posted what I jokingly said to him could have been my third post in this series. Please take a look, his words are worth reading. I do not think that I will take as firm of a stance as he did, but as you design your own Social Business and the Engine that drives it, the function of sales needs serious evaluation. Notice, I did not say “sales force” or “sales person” I am speaking to the function, not the person. If the destination is to create buyers, and add value does it matter who ‘sold the deal’. It is mostly about ‘Trust’. There is the trust in the person who advises the buyer and there is the trust by association when that buyer is introduced to the company with whom they would like to do business with, the exchange of value. So, who is this person and do they need to be directly associated with the company? That I believe to be at the heart of the issue. Trust now appears to be about two things – trusting an intermediary, who is compensated as well as establishing trust with the company who the buyer would like to transact with. Since the compensation is based solely on the transaction, is a 3rd party really a value add? “In this new model, a sales person is the one who brings the right customer to the right transaction, not by secretive manipulation to extract the maximum value possible — but to ensure that both sides receive and even value exchange for the transaction. I do not have strong arguments to counter what Esteban is writing. However, I do not believe that in order to transition from the “information gatekeepers” to active participants in the Social Business the sales function is required to live outside of the company four walls. That said, it might be better for them to be there – the decision is yours, make sure you have the data to help make that decision. It is possible that sales people could simply change their behavior. The qualifications to meet the needs of the role are the same, if they exist outside, right? This will be an industry, cultural and business size decision. What Esteban describes sounds a lot like partners in the ecosystem. If we solve the convergence of Enterprise 2.0 and Social CRM (and/or Social Business) this is less of a problem as well. They can be either place – it does not matter. The exact path is not as important as the destination, I cannot prescribe. I believe that Esteban and I are in agreement that what the buyer really wants is to get past the barriers and walls and directly to the people and information with whom they can understand the true value proposition of whatever it is they are trying to buy. Bringing this home a bit, regarding the Social Business Engine. As your business becomes more social, it is now more than a simple alignment of sales and marketing. It is an alignment of People and Processes who support these functions, whether they are inside your four walls or not. A friend asked an innocent question on Twitter a while back. “Who has a good B2B iPhone app? Anyone?”. In typical fashion, I Tweeted, then thought (the reverse order is usually recommended). My response “The actual phone part, where I dial and talk, best B2B part of the iPhone! ” This is probably not what she had in mind, hope I did not offend; though it did get me thinking. B2B, or B2C, that is the question. What is the difference? There is no difference between B2B and B2C – This one drives me crazy. What is the difference between B2B efforts and B2C efforts? Nothing other than the target and the message. We are all consumers at some point in the day unless you are that famous young cult hero thief, Colton Harris, living in the woods. The person you are trying to influence to buy is a person and a consumer. The only thing that needs to change in your efforts is your message not the platform. Again, quality messages lead to quality fans/followers/friends/connections, all of whom can help you to build you(r) Influence Stream. I commented and suggested that there are few nuances, and that Social Media is a platform, with many channels. Funny, they have the same conversations as we do in CRM – but I digress. Getting past that, there are some great points here, worth exploring. Has the Social Individual, whether it is for business, or personal become the Social Customer – period! If you put this in the context of one of those selling seminars we have all taken at one time or another, some interesting things pop out. As a buyer, people are more likely to trust someone who they feel is an ‘expert’ – oh and someone they know. In the eyes of the buyer, the seller must display professionalism, an understanding of the need, empathy. Finally, the seller needs to understand what is in it for them, the buyer, personally. OK, am I talking about a personal consumer, or a business consumer? Does it matter? Even (Especially?) in a Business to Business environment, there is a significant emotional component to the sale. Do not take my word for it, there are many others smarter than me saying so. So, if you combine that with my post – Social Just Is – what do you end up with? People buying from people – people who are like them, have similar values and people they trust. The emotions might be different, but so what? OK – so that is a bit of sales, not really touching on CRM. One of the best posts recently on the topic of Social ‘this and that’ (CRM, Business, Media) is by Esteban Kolsky. I am not sure if Esteban intended this or not, but a wonderful part of the post is what is not there; is it meant for a Business to Business audience or a Business to Consumer audience? He does not specify – because he does not need to specify. The lines are blurred. So, such is life in the age of things move really really fast. As I was preparing to simply post this, a mostly stream of consciousness set of connected thoughts, Graham Hill, a person I have the utmost respect for posted a comment on my Posterous Blog Feel free to take a look (last comment), but my take is that the relationship side of B2B versus B2C is most definitely not the same. Will have to explore that one later. Back to a quick conclusion: Sure, your strategy needs to consider what you actually sell. Assess what channel makes the most sense, I know that. But the end-game is the same in the decision on strategy. What are your thoughts? Where else has the consumer market had a significant impact on business purchases and how is Social ‘this and that’ a part of it? Simply put, it is in our DNA to be social. We like sharing, engaging and having fun, cocktail parties, backyard Bar-B-ques, name your favorite. When something good happens, we want to tell the world, when something bad, we need a shoulder to lean on. We want to be heard, on our terms, in our voice. However, Social does not equate to group, it is more than that. We have been doing this for a very long time. Up until very recently, we only did this face to face, one on one and in small groups. We then we scattered; moved away from friends, moved away from family and it was/is a bit traumatic. We worked to fill the void, we needed the social part. We wrote letters, then we used the phone; good not great. Then the Internet happened, email, chat, AOL, we were stuck behind our computers, 9600 baud and still struggling, getting closer… Then Web 2.0 happened, along with increased bandwidth, FaceBook, YouTube, Twitter and everything became clear, or did it? We are substituting technology for proximity. However, there is simply nothing like being there, sorry, it just is. A handshake, eye contact, body language and tone cannot be replaced, no matter how hard we try. It all begs the question, how close can technology get us? Answer: It is a asymptotic relationship, we will progress, but there is a ceiling and we will never get there (Not until you can say, “beam me up Scotty”). To some, the direction we are headed is not quite correct. Somehow in the Web 1.0 to Web 2.0 transition we moved from one on one interactions to a focus on many to many. Parts of the switch are good, but some need to work themselves out. Friend and colleague, Graham Hill, makes the following statement (In his Manifesto for Social Business). The emphasis for business today is still on managing customers as individuals. But we have evolved as social animals with highly developed and highly influential social networks. For example, research by Christakis & Fowler suggests that we are highly influenced by three degrees of influence – friends, friends’ friends and friends’ friends’ friends. It’s not about ‘influencers’ per se, but the social networks in which influence happens. If we are to be successful in Social Business we must recognise the power of customers’ social networks to shape customers’ behaviour. At first, these statements, made by very smart individuals, seem to contradict each other. But, read deeper, there is something more valuable here, from my perspective. While we struggle to manage the individual customer (we may or may not succeed), we must recognize the customer as an individual and empower them in everything we do, from strategy to design and then finally in execution – fostering the individual within the crowd, that sounds hard. How can you empower the Social Customer? The first step is to assemble your team – first empower yourself!. I am a big fan of Friendsourcing; Crowdsourcing focused on people you know and trust. I highly recommend this approach. In other words, this is complicated stuff, and no one person has all the answers, sorry, it just is… Friendsourcing can be accomplished either by leveraging your own personal network (friends) or by reputation (friends of friends). We are in fast moving, fast changing times, and sometimes it is just too easy to believe the hype about that shiny new object. My peers should certainly expect this to appear here, ‘there is no one size fits all answer to these questions’. You can only answer the crucial questions: ‘How’, ‘What’, ‘Where’ and ‘When’, with a combination of a deep understanding of your business, your value proposition, dedication to your customers and a better knowledge of your industry than anyone else. Fill-in the gaps appropriately, with people you trust. I am leveraging people I trust, all the time. For example Esteban Kolsky is busy writing a 5 part series on the Roadmap to SCRM (Social CRM), which I highly recommend. Like Graham, Esteban is a friend and a trusted advisor. The following is taken from part 4 of his series. Remember when you read those “social media experts” and “social gurus” telling you to just try it? that if you start listening you will be ahead of the game? I know you know this already, but they are way wrong. Way wrong. Just listening without a purpose can hurt more than it can help. Biggest problem is that once you are committed to a channel (listening) it is very easy to get in, but extremely hard to get out. You can lose reputation, trust, customers, and business if you pull out of a channel because you never took the time to figure out if it was the right one for you. The key message here is to be cautious, all too often the “gurus” and “experts” pretend to be King, as did the the one-eyed man in the land of the blind. Challenge the gurus with the Social Media strategies, not just to challenge, but to ask them how they did it. How many times have they done it, if they have done it. These experts need to have a solid grounding in Marketing, and Media (not necessarily ‘Social’) first. The current hype cycle that is Social (Media and by extension Networking) is very much about creating that feeling of closeness (emotions) and changing behaviors, between your organization and your customers. Make no mistake, while there is some hype, there is a new bar, and expectations have been set and reset. Your customers are building their trust networks, I have my trusted advisors, who are yours? No need to make the journey solo, after all, we are all Social, we just are….